Dear Dr. Shome, We’ll Help You Solve Taxpayer Problems. Please Listen To Us! Hon’ble Finance Minster speaking at the Delhi Economics Conclave on 14/12/2012 stated that “We have made it clear that our objective is to have clarity in tax laws, a stable tax regime, a non-adversarial tax administration, a fair mechanism for dispute resolution, and an independent judiciary.” I am of the opinion that by appointing Dr. Parthasrthy Shome as advisor to Hon’ble Finance Minister will achieve the goal of the Hon’ble Finance Minister. Dr. Parthasarthy Shome is a man of action, knowledge, integrity and has rich experience to understand the business laws of world. The Income Tax Appellate Tribunal, which was founded on 25th January, 1941 will be entering into 73 years of its existence, by 25h January, 2013. 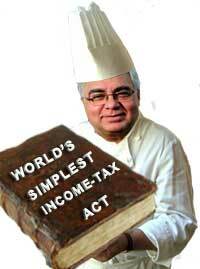 The Income tax Appellate Tribunal is also referred as mother Tribunal of all the Tribunals of our country. However, it is very unfortunate that ever since, the former President Shri Vimal Gandhi retired on 3-6-2010, the Ministry of Law and Justice of Government of India, for reasons best known to them has not initiated the proposal to appoint a Permanent President to this premier institution. Does The Vodafone Verdict Deserve So Much Contempt? The debate over whether the Supreme Court’s verdict in Vodafone International is right or wrong will never cease. While some hail the verdict as “revolutionary“, others can’t conceal their contempt for it for permitting India to become a “banana republic” where foreigners can “loot its resources” without even paying due taxes. We are now at a critical juncture where the Govt is debating whether the retro amendments should be rolled back or not. This issue is important now because Prime Minister Manmohan Singh announced that a decision would be taken soon on whether the retrospective amendments seeking to supersede the Vodafone verdict would be implemented or not. Joining the chorus of respected voices who consider the Vodafone verdict to be wrong are two respected voices. That of Ex Chief Justice of India J. S. Verma and Ex Additional Solicitor General Bishwajit Bhattacharyya. The judgement of the Supreme Court in Price Waterhouse Coopers vs. CIT makes for startling reading and leads to unsatisfactory consequences. An assessee caught red-handed trying to smuggle in an untenable claim for deduction is able to escape penalty u/s 271(1)(c) for concealment/ filing inaccurate particulars of income by putting on a sheepish face and pleading that the untenable claim was because of some confusion at his end. On the occasion of the 150th Anniversary of the Bombay High Court, the author pays rich tribute to the stalwarts of the Bombay Bar who were fearless in their fight for the Country’s independence and also in the fight for preserving the basic structure of the Indian Constitution. The Tax Bar has contributed in its own little way towards the development of tax laws and the process of building the Nation while keeping the flag of the Bombay High Court flying high, says the author, and implores all professionals to emulate the Stalwarts and work for the benefit of the Nation. 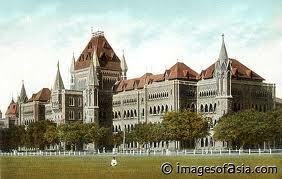 Bombay High Court which was established on 14th August 1862 has celebrated its 150 years Anniversary. On this memorable occasion a publication was published by Maharashtra Judicial Academy & Indian Mediation Centre and Training Institute, titled “ A Heritage of Judging”. The Bombay High Court through one hundred and fifty years. An Exhibition is being held from 14th August 2012 to 2nd October 2012. The historical items, patriotic pictures which were displayed in the exhibition made me and many of our fellow lawyers feel proud that we are Advocates of Bombay High Court wherein our father of Nation Shri Mohandass Karmchand Gandhi, Mr. M.A. Jinnah, founding father of Pakistan, Dr B.R. 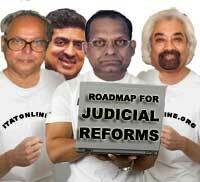 Ambedkar who drafted the Constitution of India , and many more legal luminaries practiced. I thanked the destiny for making me a lawyer of Bombay High Court. Vodafone’s Chairman Analjit Singh went on record yesterday that Vodafone was open to settle with the Government pursuant to which it would pay tax of Rs. 8,000 crores if the Government waived the levy of interest and penalty. Here’s why the deal makes immense sense and why Finance Minister P. Chidamabaram should immediately grab it. Dear Advocates, How You Can Go On Strike When Supreme Court Has Banned It? Pursuant to a resolution of the Bar Council of India, advocates across the Country are on a strike yesterday and today (11th & 12th July 2012). The result is that 1.25 lakh lawyers across the Country have abstained from work and Courts have come to a grinding halt. Let’s understand what the strike is all about and to what extent it is permitted by the law. Respected Prime Minister Manmohan Singh ji, welcome back to the Finance Ministry. You may recollect, Sir, that when you first became the Finance Minister in 1991, you were regarded as the “poster boy” for Indian reforms because you ushered in the “revolutionary” reforms that transformed India into the powerhouse that it is today. On that back of that success, you rode the wave of popularity and rightly became the Prime Minister. Sadly, since then, however, much of that sheen has rubbed off and you have been under fire in the recent past for so-called indecisiveness, silence on important policy matters and generally for being “remote controlled”. We know, Sir, that the biggest embarrassment must have been when some political leaders contemptuously suggested that you be “elevated” to the post of President. The less said about that, the better. An Award Scheme For What? Harassing Taxpayers? The author, founder of tax2.me, takes a cynical view of the Government’s decision to initiate an award scheme for officers of the income-tax department. An award scheme without a corresponding accountability scheme to rein in officers who step out of line and breach the law will encourage assessing officers to go on a rampage and spell doom for the taxpayers warns the author. He urges all stake-holders to protest against the proposal. The Government’s decision to initiate an award scheme for officers of the income-tax department has raised the hackles of taxpayers across the country. While the fine print is waited and the scheme is worded in elegant language (“display of specific acts of exemplary devotion to duty”), the scheme is probably simply this “Collect more revenue by whatever means – fair or foul – and take home your reward”. The bottom-line of the scheme is unlike to be different from the plain words used by Laxman Das, the ex CBDT Chief who, in his missive to his underlings, was brazen enough to say that the officers’ posting and promotion prospects were directly proportional to the quantum of revenue that they brought in.